An aeronautical engineer has a vital role in shaping the future of society. 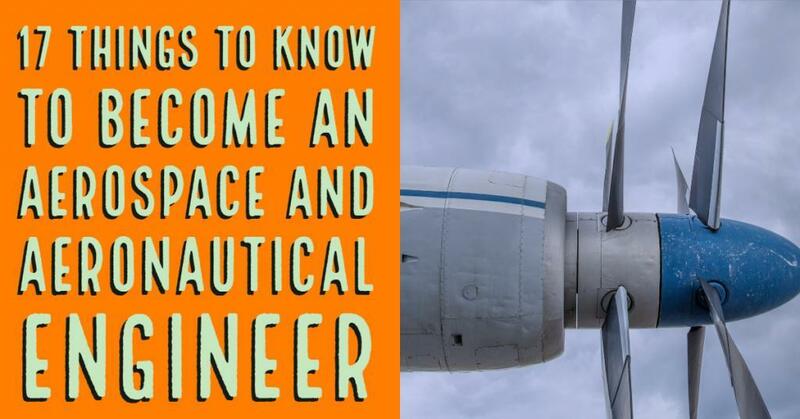 Those who like to know how to become an aeronautical and aerospace engineer should also aware about who is an aeronautical engineer and his roles and responsibilities in the society. An aeronautical or aerospace engineer is the person who engineers the flying vehicle sector or they involve in designing and development of flying vehicles such as aircraft, Drones, Space crafts etc. A person who thinks about how to become an aeronautical and aerospace engineering professional should have aspired about future technologies. Aerospace and aeronautical engineering scopes are not limited. Today itself aeronautical and aerospace engineers have their role in Defense, Aviation, Logistics and Space Technologies etc. To become an aeronautical engineer the candidate should complete at least a bachelor’s degree aeronautical or aerospace engineering. There are masters and doctoral degrees are also available in the field. Students can go for these higher study option based on their area of interest to work. Those who wish to peruse the aeronautical engineering course. There are a lot of universities are offering aeronautical engineering courses both in India and abroad before getting ready for the aeronautical engineering courses the candidate should have good knowledge in mathematics and physics. Most of the universities admitting students to bachelor’s degree on the basis of their physics, Chemistry, and Mathematics marks at higher secondary level and the national level common entrance Score. 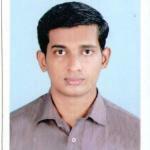 Engineering entrance exams are conducted by both central level and state level. Joint Entrance Exam main (JEE Main) is the one major national level entrance exam for engineering admission in participating colleges and some central government funded institute like Indian Institute of Space Science and Technology, Thiruvananthapuram, Indian Institute of Engineering Science and Technology, Shibpur will accept JEE main. Indian Institute of Technologies (IITs) area prominent place in aeronautical engineering courses. The JEE Advanced exam is the criteria for selecting students for IIT’s. Those who pass in JEE main exams are eligible to appear in JEE advanced exam.JEE advanced exam is conducted by IIT to select their suitable candidate. Apart from this, there is the state’s entrance exam are also there. Colleges and Universities come under state government admitting students according to the state entrance exam score and higher secondary marks in physics, chemistry, and mathematics. After completing the bachelor’s degree students and find a career in the aeronautical industry around the world or they can choose higher studies options. During the bachelor’s degree, an aeronautical student will get a basic structural idea of the core subjects like Aerodynamics, Aircraft Structures, and Propulsion. Aircraft structures deal with the basic structural elements of an aircraft like Wing, Fuselage, Stabilizers, Flight control, And Landing gear etc. In aerodynamics, the student will study about how a flowing air will interact with the structural elements like drag occurred due to airflow, vortex formations etc. In propulsion, the aeronautical engineering students will learn about the engines and the deep thermodynamics for explaining its working. These are the fields where a student should build their knowledge to become a good aeronautical engineer. After the bachelor’s degree students can peruse ME or M tech. in Aeronautical engineering or aerospace engineering. Master in Aerospace or aeronautical engineering can boost your knowledge and you can participate in research-oriented projects as well as go for a teaching career in the aeronautical or aerospace field. There are several universities and colleges are offering a masters program in aeronautical engineering and aerospace engineering in the different field of studies like Structures, Composite Materials, and Propulsion, Avionics etc. As same as bachelors degree, the government-funded institutes and universities are finding there required candidate through an entrance exam called GATE ( Graduate Aptitude Test in Engineering ). A new trend in aeronautical and aerospace engineering file is the improved development of unmanned vehicles and unmanned technologies. Unmanned flying vehicles like Drones and fixed-wing UAV’s opened a huge opportunity for those who wish to become an aeronautical engineer. Another way to become an aerospace or aeronautical engineer and get into the global industry is opting aerospace or aeronautical engineering course in foreign universities. Universities of Oxford, Imperial College London, Technical University of Munich, Princeton University USA, and Harvard University are some of the world famous universities offering both bachelors and master level degrees around the world. These Universities offer courses in both aeronautical and aerospace engineering as well as specialized fields like Composite materials, aircraft structures, and propulsion engineering etc. There are a lot of researches going on in the field of aeronautical and aerospace engineering like electric propulsion, lightweight composite materials etc. Those who wish became an aeronautical engineer and to peruse a doctoral degree after their masters can follow these researches from there bachelor’s degree itself. As mentioned earlier in future industries like Aviation and logistics, Space Technologies are going to play a major role in society. The tremendous changes in the logistics sector can be seen from now as delivery drones, driverless cars, and drones taxis. So a person who wishes to become an aeronautical engineer should keep this thing in their mind. In space technologies also give a good career and research opportunities those who like to work in the field. Now itself there are a lot of companies like Space X, Virgin Galactic started their work in the respective field like space tourism, interplanetary travels, asteroid mining etc. Getting into a good career is also an important step in becoming an aeronautical and aerospace engineer. After studying a bachelors degree in aerospace or aeronautical engineering one can join in the design field or the maintenance field. In the design field, one can join as a design engineer at the same time in Maintenance sector an aeronautical and aerospace engineers can join as a maintenance engineer in any of the airline or aircraft manufacture and service companies. Those who have complected there masters or doctoral studies in aeronautical and aerospace engineering can join in teaching as well as research careers. There are a lot of universities and technology companies are doing research in aerospace and aeronautical engineering field. Because of the future opportunities, this sector is giving huge chances and prospering career for the persons who wish to become an aeronautical and aerospace engineer.